Klebsiella pneumoniae is the most common gram-negative bacteria encountered by physicians worldwide. This is a common nosocomial pathogen causing urinary tract infections, nosocomial pneumonia, and intraabdominal infections. K. pneumoniae is also a potential pathogen in community acquired. The species Klebsiella pneumoniae has three subspecies: K. pneumoniae subsp. ozaenae, K. pneumoniae subsp. rhinoscleromatis and K. pneumoniae subsp. pneumoniae. 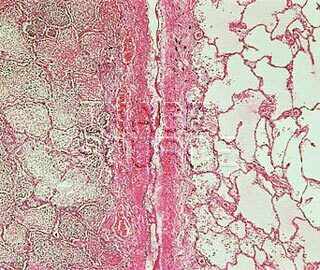 K. pneumoniae, mainly serotype K1 and K2, is responsible for pneumonia, septicemia, nosocomial infections, urinary tract and neonatal, while K. ozaenae causes atrophic rhinitis ozena and K. rhinoscleromatis called the rhinoscleroma, granulomatous infection of the upper airway. Although very similar, these three sub-species to cause respiratory tract infections very different and is more or less virulent. The most common cause of bacterial urinary tract infection (UTI) in adult women is Escherichia coli, which is part of the normal intestinal flora. This is the body for about 85% of community-acquired urinary tract infections and 50% of nosocomial infections of the urinary tract. 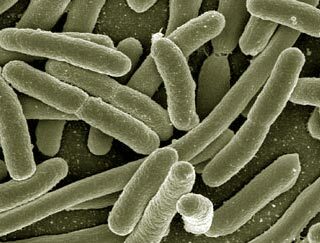 Other common organisms are Klebsiella pneumoniae. Klebsiella is also found in the urine and is the origin of some urinary tract infections acquired in hospitals (nosocomial infection), particularly in certain at-risk services such as surgical services, intensive care or long stays. It seems that inadequate cleaning of the hands of hospital staff, perhaps a poor sterilization of objects used, but also the use of broad spectrum antibiotics (used to fight many bacteria) and an altered anatomical barrier explain this phenomenon. The alteration of anatomical barriers may be due to extensive burns or therapeutic interventions (tracheotomy, intubation, urinary catheter, intravenous catheter, prosthesis etc.). The urinary tract infection is defined by the multiplication and thus the presence of more than 100,000 (10 power 5) cells per ml of a urine sample collected in the middle of urination that is to say during urination. A striking finding of a new clinical manifestation of community-acquired infections has been documented K. pneumoniae. An unusual presentation of invasive K. pneumoniae infection, primary bacteremic liver abscess, has been described by many researchers in Asia, have> 900 patients with Klebsiella liver abscess have been reported from Taiwan in the last 10 years. In addition, case reports and small series from Korea, Singapore, Japan, India and Thailand have been published. Taiwanese patients with K. pneumoniae liver abscess have no history of hepatobiliary disease. Seventy percent of these patients have diabetes, reported by 11% to 12% of patients, Klebsiella liver abscess have other septic metastases, including pulmonary embolism or abscess, brain abscess, pyogenic meningitis, endophthalmitis, prostatic abscess, osteomyelitis, septic arthritis, or psoas abscess.